Steve Pesner represents major private equity and investment management funds, domestic and international entrepreneurs, and public and private companies in connection with solving complex litigation, corporate, securities, regulatory and other issues, including class actions, securities actions, bankruptcy issues, RICO claims, and other complex litigations, disclosure issues, FCPA issues, and regulatory issues. He also has significant experience in alternative dispute resolution, including arbitration and mediation. 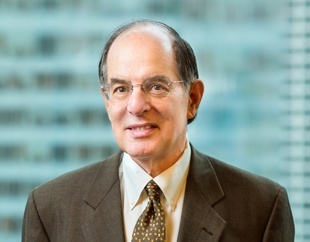 Prior to joining Friedman Kaplan in January 2018, Steve practiced at Akin Gump Strauss Hauer & Feld LLP, where he was a partner for 24 years and he served on the firm’s executive, management, strategic planning, litigation steering and other committees. At Akin Gump, he supervised the preparation of global multi-defendant strategies, argued dispositive multi-defendant motions, and coordinated large, factually and legally complex, multi-defendant cases, arbitrations, trials and settlements. He also advised clients in connection with many types of domestic and international business transactions involving public and private entities in the United States, the United Arab Emirates, Russia, the CIS, South Korea and Western Europe. Steve is an active member of the New York and global communities and avid supporter of the arts. He is Vice Chairman of The Joyce Theater Foundation, Inc., which operates modern dance theaters (New York), and is a trustee of L.A. Dance Project (a global company based in Los Angeles). He was a trustee of the Baryshnikov Arts Center (New York), the American Friends of the Paris Opera and Ballet (New York and Paris), the Center for Khmer Studies (New York and Siem Reap, Cambodia), and the New Museum of Contemporary Art (New York).